In my last blog I wrote about how to use the Apple Configurator and Microsoft Intune to manage your supervised iOS devices. By supervising your iOS device more (cool) management features come available for you as an Administrator. Today during my session at Ignite about how to conduct a successful pilot deployment of Microsoft Intune I showed how the Apple iOS Lost mode feature is implemented in Microsoft Intune. 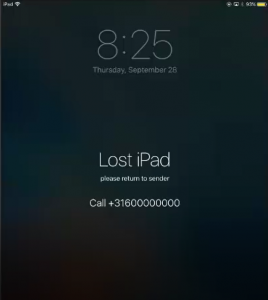 When enabling lost mode on a device, you are able to configure a message on the screen to inform the person who found the phone about how the owner can be contacted. Besides the message that will be displayed on the screen of the device, also a phone number can be added. 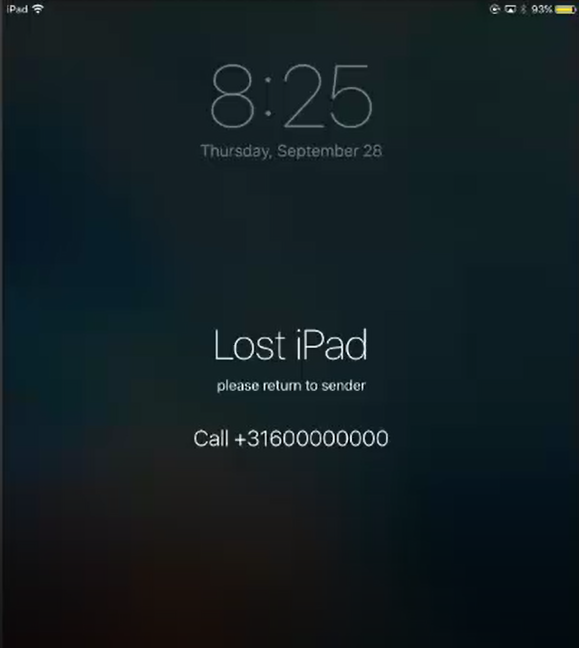 When enabling Lost mode, the device will be locked in a couple of seconds. 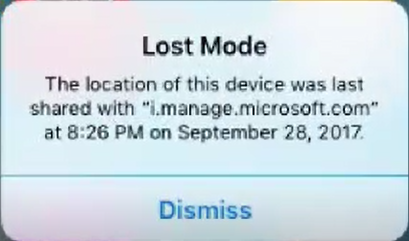 Of course the device needs to be online and connected to the Internet. 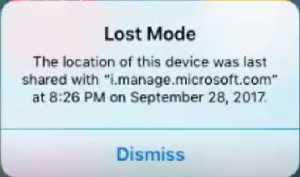 After the lost mode is enabled you are able to locate the device as an Administrator. 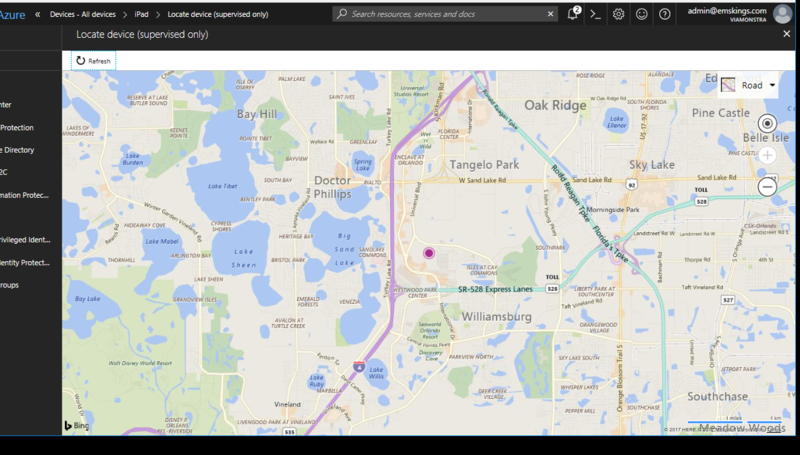 Microsoft Intune will contact the device and get the current Location data of the device and present it to the administrator. This will show you a Bing map with the location where the iPhone is located. 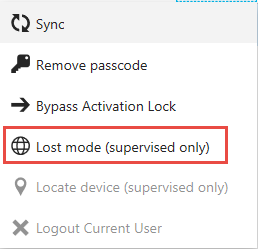 When the device is found the administrator is able to disable Lost mode again, which allows the user to access the phone again. 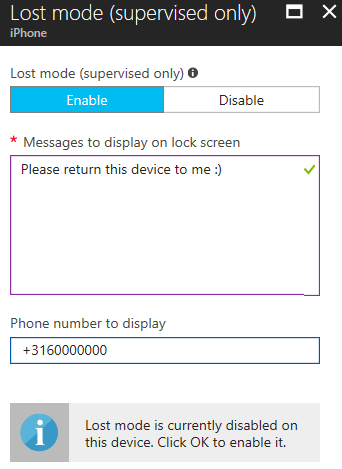 The user will be informed about the fact that the administrator retrieved the location of the device via Microsoft Intune. 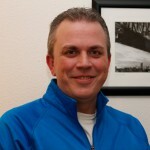 See here the demo I did at Ignite. Having this feature is a reason to supervise the corporate owned devices that are handed out to the users. This feature will not work if a device is not supervised. Besides this very need functionality it opens also the doors to configure much more other settings.